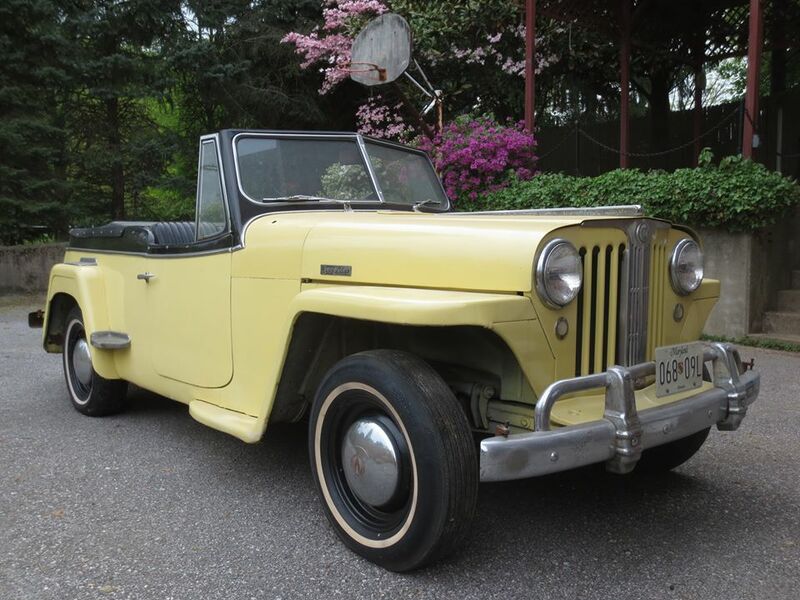 This 1948 Jeepster has been with the same family since 1950. The father bought it from the first owner that year. One of the sons tells the story of he and his buddies driving to Williamsburg in the Jeepster back in the 1950s. They were pulled over by a State Trooper. They were puzzled as they knew they were not speeding. The trooper explained that they were going too slow. 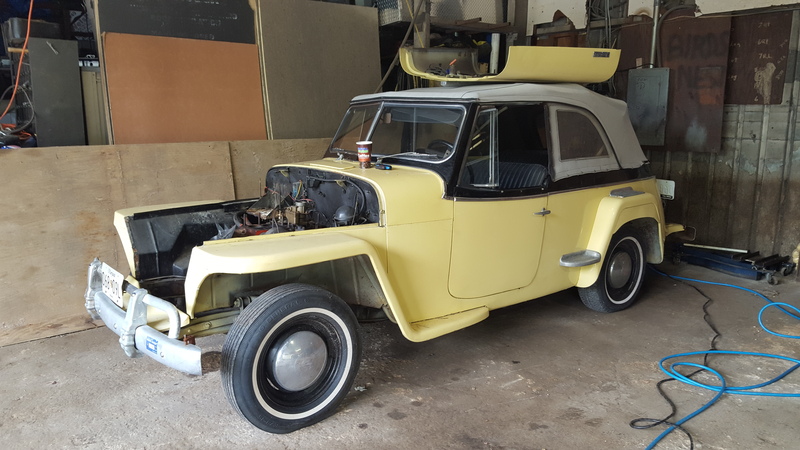 The son explained that he was going as fast as the Jeepster would go and with that they were let to continue on their way. The seats are in good shape as is the carpeting. The steering wheel is obviously quite wrong and the former owner dismantled the speedometer for some reason. Currently the state of the other gauges is unknown. 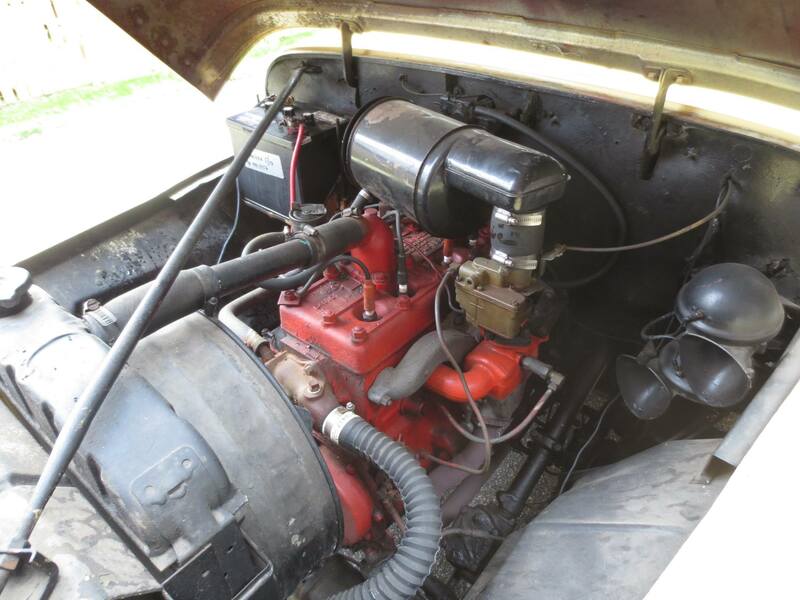 The engine bay is very complete but due to a damaged block we overhauled another engine for the Jeepster. 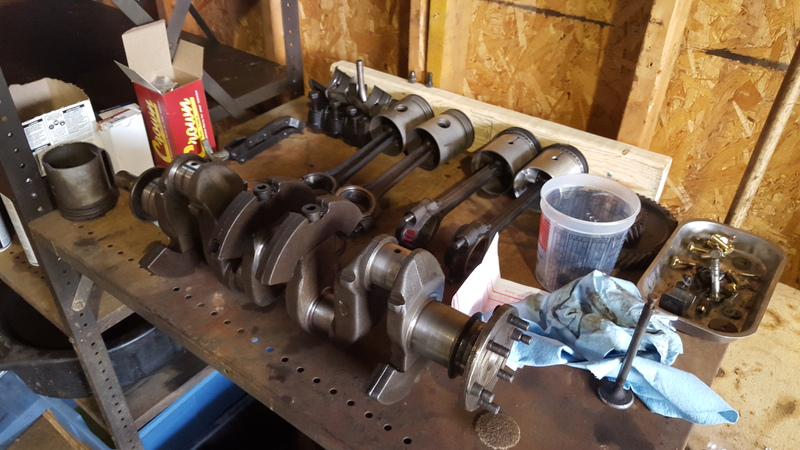 The replacement engine received one new piston, all new piston rings, new bearings, seals and gaskets. 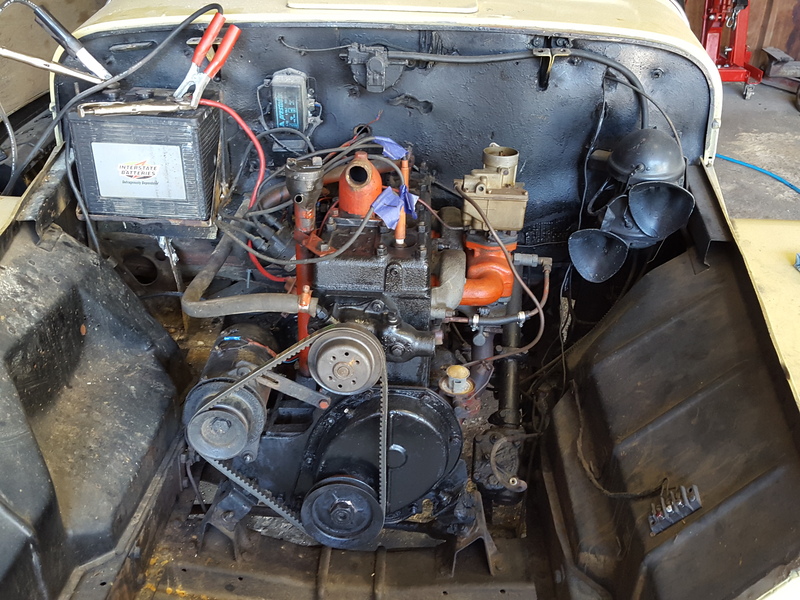 Currently we are only waiting on the starter rebuild to have the Jeepster running. 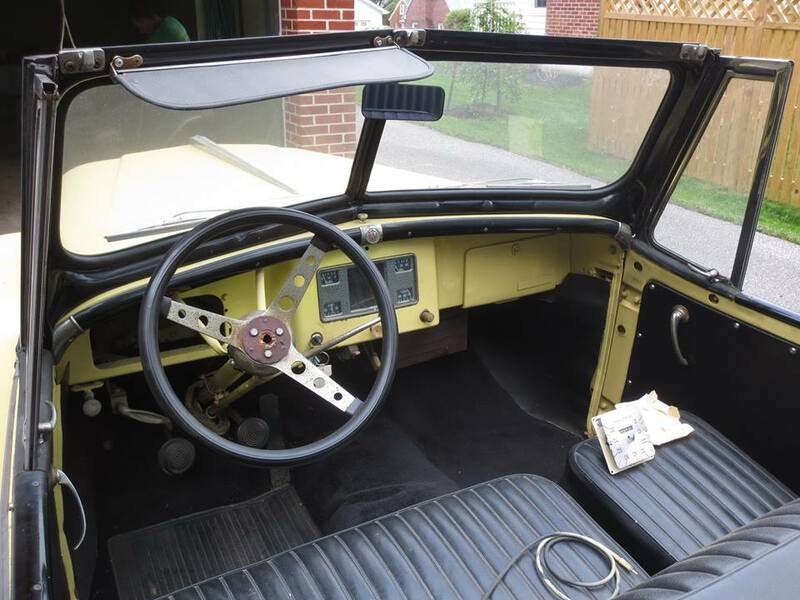 The Jeepster also has a convertible top and all the side curtains. Top and sides should probably be treated with a coat of water sealer. The body is good, though you can see where some bondo may be hiding. The paint is thorough but has some drips in areas. 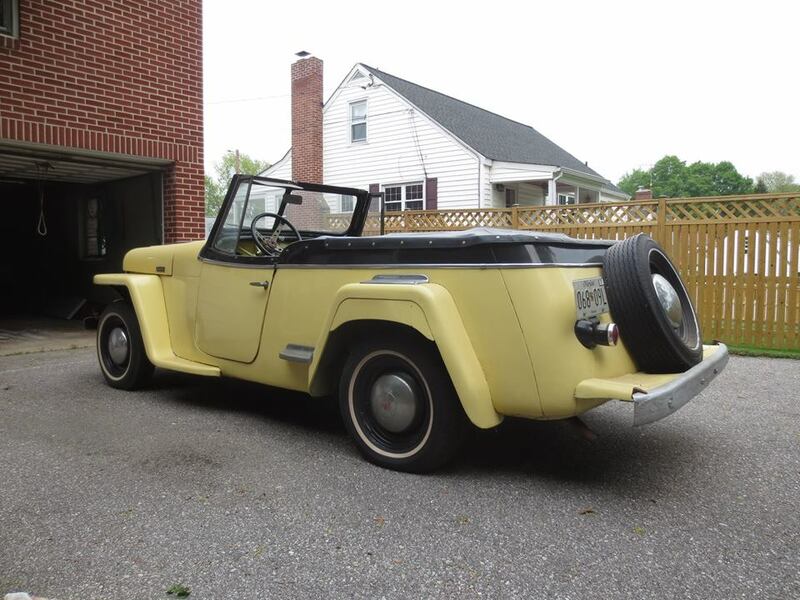 For $7,500 or best offer you get a nice Jeepster in running condition that will just need some detail work. That work you can either do on your own or hire us to do for you. Cash or bank check only, no trades, no overseas sales. Buyers have to arrange their own shipping. Vehicle can stay one week after sale after which it accrues a $100 monthly storage charge.